Easily capture your own game video with HD resolution! 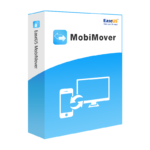 Get Gecata by Movavi license key with a discount coupon code and save up to 58% off for a limited time! Upload Speed: Make your videos available on YouTube in HD faster – they’re saved in MP4 with the recommended settings. Performance: Under-the-hood improvements make Game Capture more stable and less likely to slow down your gameplay while you’re recording. 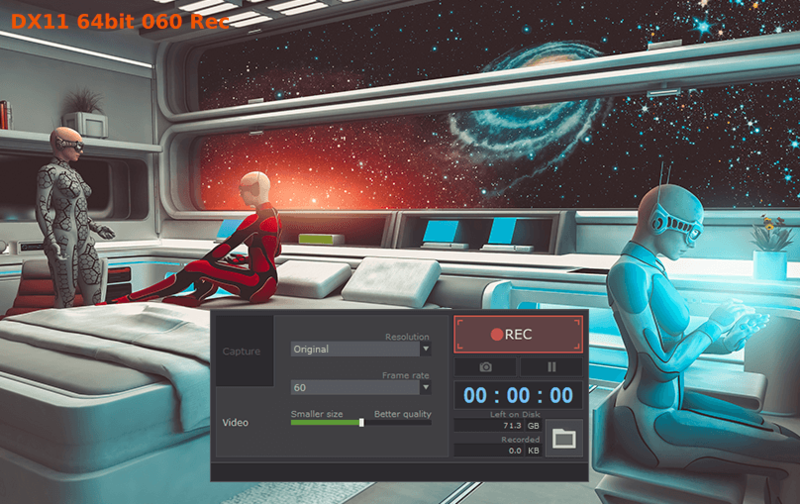 Post-Production: Save game footage, webcam video, and audio commentary as separate files: edit out bloopers without butchering your playthroughs. Capture Sources: Webcam and microphone have been added to your items. Use them to make faces and comments on the go. 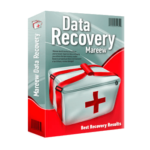 Haven’t you thought about saving the most exciting moments of your Minecraft, Diablo III, or Grand Theft Auto gaming? With Gecata by Movavi, you can record a full-screen gameplay at 60 fps and save it as MP4 video with recommended configurations for YouTube upload. Simply run Game Capture and press F10 when playing your game to start capturing. 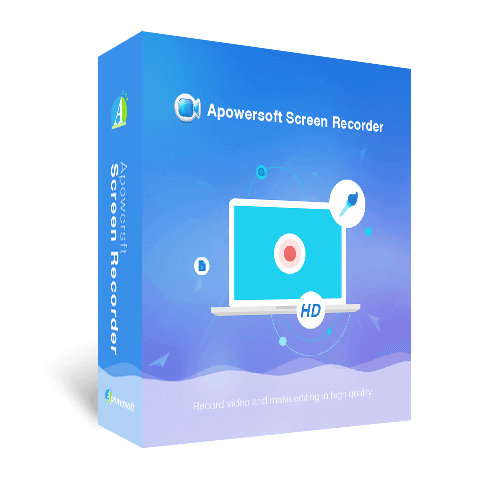 Grab sound from speakers and microphone and add webcam video to your gameplay recordings – so you can share your emotions with viewers when you upload the video to YouTube or another video hosting platform. Capturing gameplay is easy with Movavi: just press F10 and Gecata by Movavi will start capturing the gameplay on your computer screen at 60 frames per second. When you’ve finished, you’ll be able to view the video in MP4 – a format supported by most devices and recommended for upload by YouTube. 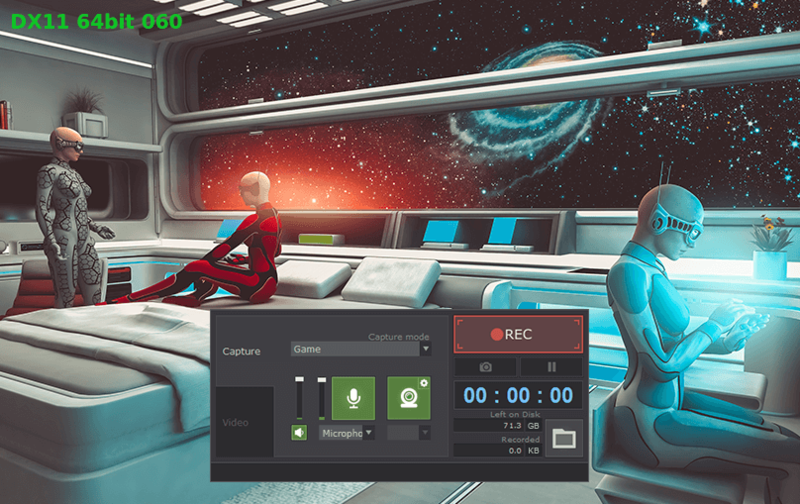 This Movavi game capture software supports two-way sound capture – in-game sound effects, music, and dialogue, as well as microphone output. Gecata by Movavi lets you comment on the action as you go. Save audio streams as separate audio files in AAC format so you can easily edit out bloopers without butchering the video footage. Watching yourself playing the game is part of the entertainment. Want your YouTube subscribers to see your rage face IRL while you’re mowing down enemies in a shooter game? Gecata by Movavi lets you overlay webcam video onto the game footage. 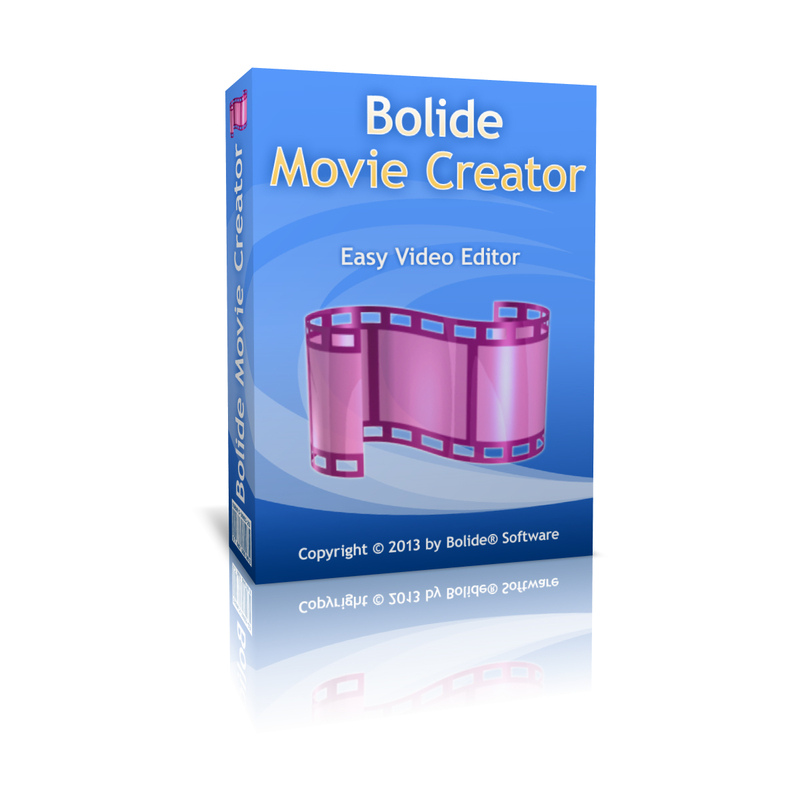 Choose the size and position of the webcam window or even save it as a separate video track for further editing. The best part of gaming is sharing stories and experiences with other players. Completed a tricky quest or killed a particularly tough boss? Upload the video evidence to YouTube. Gecata by Movavi has optimized the capture format using YouTube recommendations, so your HD videos will be processed in minutes. Use your videos as online tutorials for other gamers or share playthroughs of the games you love. 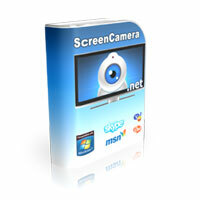 Master game capture on PC and become a guru of the gaming world! Recording gameplay – Capture videos of the games you play. 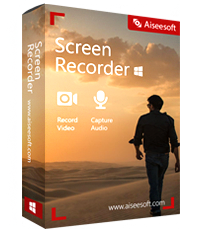 Recording desktop – Record video of your full desktop. Recording with webcam – Add a webcam overlay to your videos. *Any other game that supports DirectX 11 or earlier, as well as OpenGL, should be fine, too. Please feel free to download Gecata by Movavi here. This Game Capture by Movavi has been tested professionally and we are assured that no viruses, Trojans, adware or malware contained. 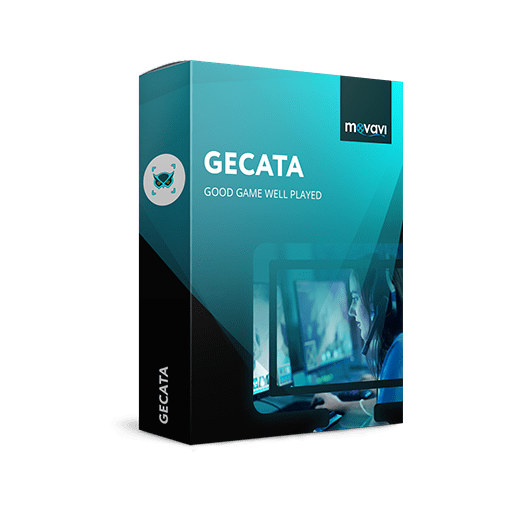 Gecata by Movavi retails for $42.95 (As seen on their official website), But, on our website, The Software Shop, you can save on your purchase of its license key with our exclusive discount coupon code. This offer is available for a limited time! This software is unavailable for Mac OS. 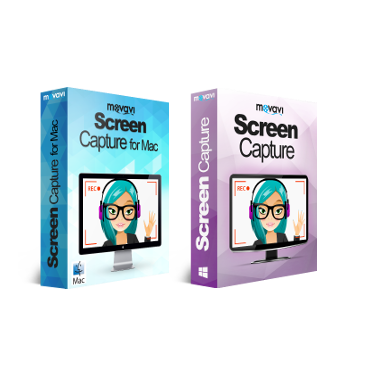 Recommended: Save up to 70% Off on Movavi Screen Capture Studio – for PC/Mac, Record Your Screen Just The Way You Want! 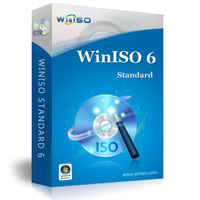 Please note that once you signed in, Please do not close this page.. You will be shown how to get this offer for free. Thanks for reading Gecata by Movavi Review & Enjoy the discount coupon. Please Report if Gecata by Movavi Discount Coupon/Deal/Giveaway has a problem such as expired, broken link, sold out, etc while the deal still exists.